Did you know shoppers that clicked a product recommendation were nearly 2x as likely to come back to the site and personalized product recommendations account for just 7% of visits but 26% of revenue. 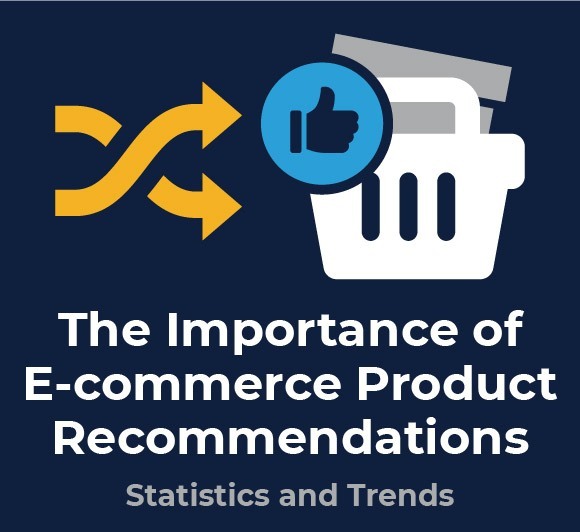 Check out our infographic on “The importance of cross selling and E-commerce product recommendations” for latest e-commerce product recommendations statistics and trends. 37% of shoppers that clicked a recommendation during their first visit returned, compared to just 19% of shoppers that didn’t click a recommendation during their first visit.